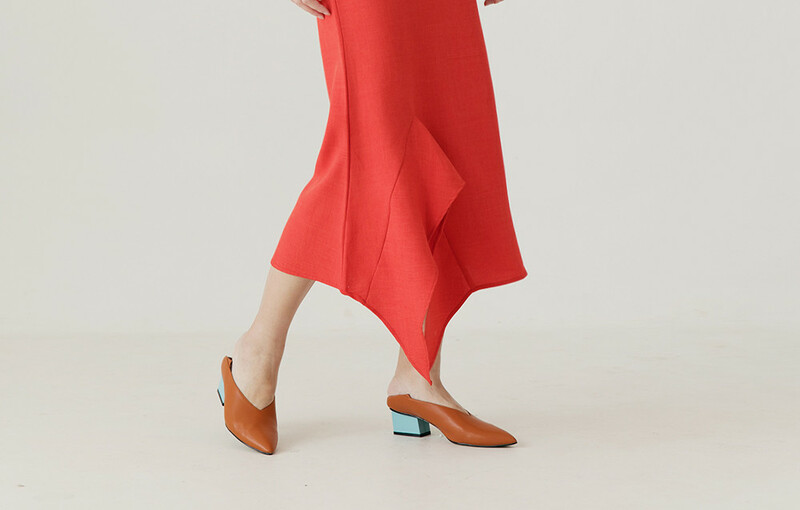 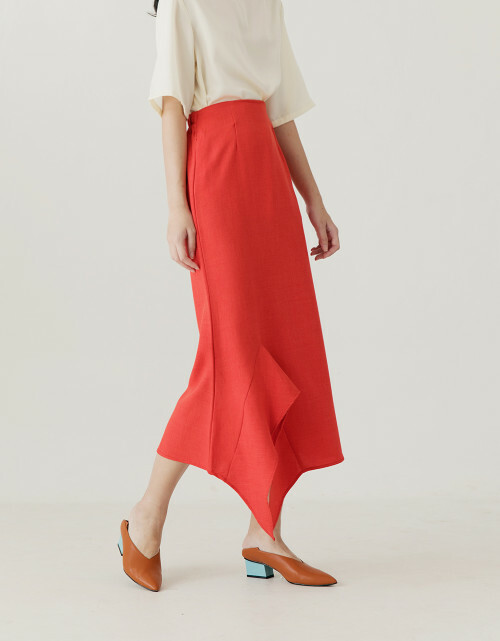 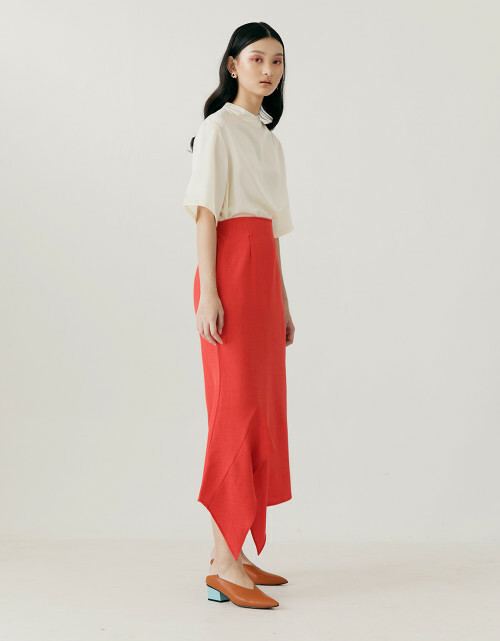 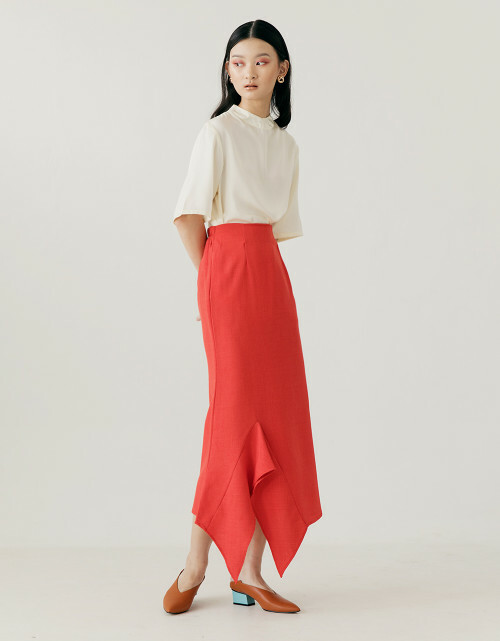 This skirt is intricately slit to create expanding cut-outs that gently bounce and sway as you move. Detailed with assymetric cut. 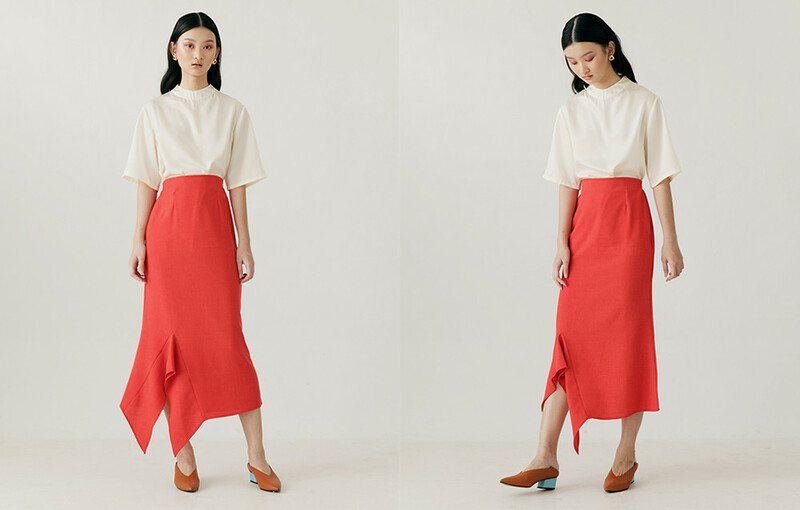 Slip yours with our Reggie Top.